Things between Love & Hip Hop: Atlanta” star Erica Dixon and baby daddy Lil Scrappy seem to be worst than what appears on the hit tv show. 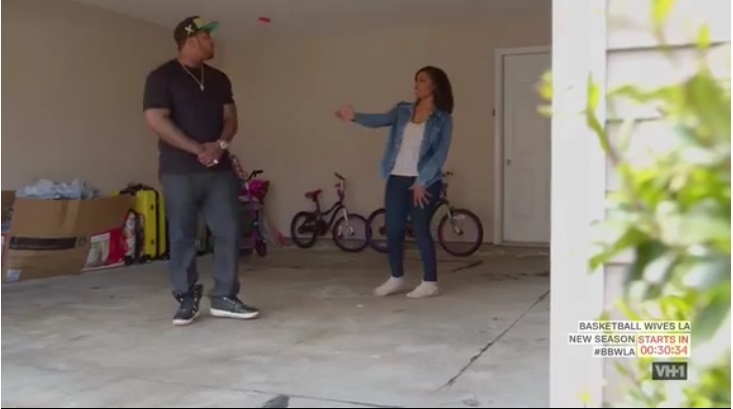 Erica claims to be so scared of Lil Scrappy and a possibility the Prince of the South might assault her. Erica made her way to court and filed a restraining order against the rapper. Dixon filed the petition for a restraining order against Lil Scrappy aka Darryl Richardson on July 20th in Georgia Court. She pleaded with the court to grant her a temporary protective order against the rapper claiming he committed family violence – either against her or their daughter – and the court reviewed her allegations earlier this month. The judge decided that Dixon had provided enough evidence to grant her the temporary TRO until a hearing next month – to determine if the TRO will become permanent. The order prohibits Scrappy from coming anywhere near Dixon … and if he does he can be thrown in jail immediately for violating the court order. Scrappy was served with the protective order court documents on July 22nd and he has been ordered to appear in court on August 12th to defend himself in front of a judge against the allegations that Dixon filed against him. The two are currently also in a nasty battle over custody of their daughter … with Dixon suing Scrappy for child support earlier this year. The case is still pending in Georgia Court.